Official Synopsis: Peter Venkman, Ray Stantz and Egon Spengler work at Columbia University. where they delve into the paranormal and fiddle with many unethical experiments on their students. As they are kicked out of the University, they really understand the paranormal and go into business for themselves. Under the new snazzy business name of 'Ghostbusters', and living in the old firehouse building they work out of, they are called to rid New York City of paranormal phenomenon at everyone's whim. - for a price. They make national press as the media reports the Ghostbusters are the cause of it all. Thrown in jail by the EPA, the mayor takes a chance and calls on them to help save the city. Unbeknownst to all, a long dead Gozer worshiper (Evo Shandor) erected a downtown apartment building which is the cause of all the paranormal activity. They find out the building could resurrect the ancient Hittite god, Gozer, and bring an end to all of humanity. Who are you gonna call to stop this terrible world-ending menace? Official Synopsis: In a world ravaged by a virus infection, turning its victims into the Undead, Alice (Jovovich), continues on her journey to find survivors and lead them to safety. Her deadly battle with the Umbrella Corporation reaches new heights, but Alice gets some unexpected help from an old friend. A new lead that promises a safe haven from the Undead takes them to Los Angeles, but when they arrive the city is overrun by thousands of Undead - and Alice and her comrades are about to step into a deadly trap. Official Synopsis: Van Helsing is in the world to rid all evil, even if not everyone agrees with him. The Vatican sends the monster hunter and his ally, Carl, to Transylvania. They have been sent to this land to stop the powerful Count Dracula. Whilst there they join forces with a Gypsy Princess called Anna Valerious, who is determined to end an ancient curse on her family by destroying the vampire. They just don't know how! Official Synopsis: In 1971, Carolyn and Roger Perron move their family into a dilapidated Rhode Island farm house and soon strange things start happening around it with escalating nightmarish terror. In desperation, Carolyn contacts the noted paranormal investigators, Ed and Lorraine Warren, to examine the house. What the Warrens discover is a whole area steeped in a satanic haunting that is now targeting the Perron family wherever they go. To stop this evil, the Warrens will have to call upon all their skills and spiritual strength to defeat this spectral menace at its source that threatens to destroy everyone involved. Official Synopsis: Preacher Graham Hess, played by Mel Gibson, has lost his faith in God after his wife dies in a brutal car accident. He along with his son and daughter and his brother Merrill lives in a farmhouse. Crop circles begin to appear in their corn fields which Graham dismisses as mischief by miscreants. After hearing strange noises and watching news coverage on crop circles appearing all over the world, the family grows suspicious of alien activities. Now they must stick together and believe, as a family to survive the ordeal and find a way to escape. 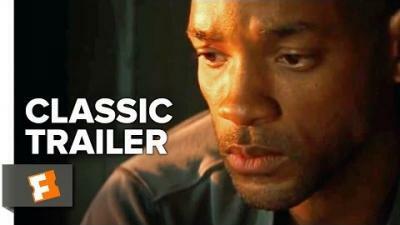 Official Synopsis: Life for former United Nations investigator Gerry Lane and his family seems content. Suddenly, the world is plagued by a mysterious infection turning whole human populations into rampaging mindless zombies. After barely escaping the chaos, Lane is persuaded to go on a mission to investigate this disease. What follows is a perilous trek around the world where Lane must brave horrific dangers and long odds to find answers before human civilization falls. Official Synopsis: Robert Neville is a scientist who was unable to stop the spread of the terrible virus that was incurable and man-made. Immune, Neville is now the last human survivor in what is left of New York City and perhaps the world. For three years, Neville has faithfully sent out daily radio messages, desperate to find any other survivors who might be out there. But he is not alone. Mutant victims of the plague -- The Infected -- lurk in the shadows... watching Neville's every move... waiting for him to make a fatal mistake. Perhaps mankind's last, best hope, Neville is driven by only one remaining mission: to find a way to reverse the effects of the virus using his own immune blood. But he knows he is outnumbered... and quickly running out of time. Official Synopsis: Malcom Crowe (Bruce Willis)is a child psychologist who receives an award on the same night that he is visited by a very unhappy ex-patient. After this encounter, Crowe takes on the task of curing a young boy with the same ills as the ex-patient (Donnie Wahlberg) . This boy "sees dead people". Crowe spends a lot of time with the boy much to the dismay of his wife (Olivia Williams). 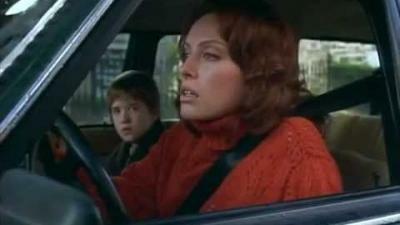 Cole's mom (Toni Collette) is at her wit's end with what to do about her son's increasing problems. Crowe is the boy's only hope.